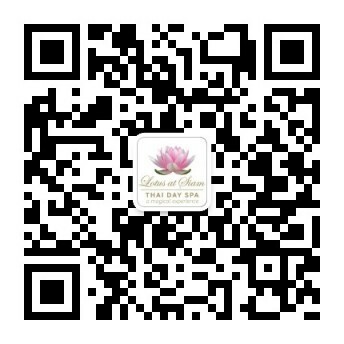 At Lotus at Siam, we take men's treatments seriously. We have created a men's menu (including a highly effective ELEMIS Men's facial) to suit your needs and lifestyle. Please feel free to peruse the men's treatment menu below. Using iKOU organic massage oils, and stimulating pre-defined pressure points on the feet and hands, reflexology helps relieve the symptoms of stress, injury and illness. Includes wash, scrub, head and shoulder massage. Treatment 60 mins. Working with your therapist, we use a mixture of Thai Stretching and Deep Tissue massage dependent on your needs. Using iKOU organic massage oils and combining the characteristics of European Massage, Chiropractic and Acupressure methodologies – Thai Sports massage works to balance the functions of the body to increase serotonin and endorphins to aid quick recovery. Relax and enjoy a decadent 45-minute ELEMIS Salt Glow Body Scrub for soft, smooth and hydrated skin and 15-minute shower. Choose from the wonderful ELEMIS Lime and Ginger Salt Glow or ELEMIS Frangipani Salt Glow. Complete your treatment with a gentle rub-down with Elemis massage oil. Allow 1 hour. Male anti-ageing booster for tired, stressed skin. This is the hard-working facial for ageing, stressed, dehydrated skin and tired eyes. An energising treatment that speaks to every skin concern, restoring vital moisture and nutrient levels. It maximises cell regeneration, whilst steam and extraction decongests. Multi-dynamic facial massage sequences boost circulation, whilst targeted scalp and foot massage deeply relax. (Recommended: 1 treatment every 4 weeks – course of 6). Our specialist Thai Steam and stretching massage incorporates traditional Thai massage and deep tissue massage with stretching techniques helping you restore the flexibility of body muscles and various joints as well as improving blood circulation and relieving muscle soreness and body stress. Using iKOU organic massage oils, our experienced Thai massage therapists use herbal steam with Citronella grass, Borneo camphor, Pandan and Eucalyptus leaves and use their hands, elbows, forearms, knees, and feet to help with movement to relieve muscle tension, loosen joints, stimulate blood circulation, and ultimately relax your mind and body. Treatment 2 hours. Hot Stone Massage is an ancient holistic sensory experience, Using iKOU organic massage oils and warmed basalt stones high in iron and extremely smooth are positioned on the body. The warmth from the stones help relax muscles, improve circulation and calm the nervous system allowing the therapist to manipulate the deeper layers of your muscles more effectively (if required) leaving you totally relaxed.Treatment 2hrs. Treat your skin to a 45-minute ELEMIS Body-Scrub & 60-minute Massage. Treat your skin to the ultimate in pampering with ELEMIS. This luxurious body treatment stimulates cell renewal, exfoliates, increases circulation, and transforms the look of your skin! Treat your skin to the ultimate in pampering with ELEMIS. This luxurious body treatment stimulates cell renewal, exfoliates, increases circulation, and transforms the look of your skin! Relax and enjoy a decadent 45-minute ELEMIS Salt Glow Body Scrub for soft, smooth and hydrated skin and 15-minute shower. Complete your treatment with a soothing 60-minute Massage with ELEMIS massage oils. Allow 2 hours. Enjoy a soothing 30-minute mineral rich oil infused soak in our beautiful spa bath, followed by a 90-minute Thai Sport Massage using iKOU organic massage oils,and a decadent 60-minute Elemis Exotic Moisture Dew Facial. Allow 3 hours.